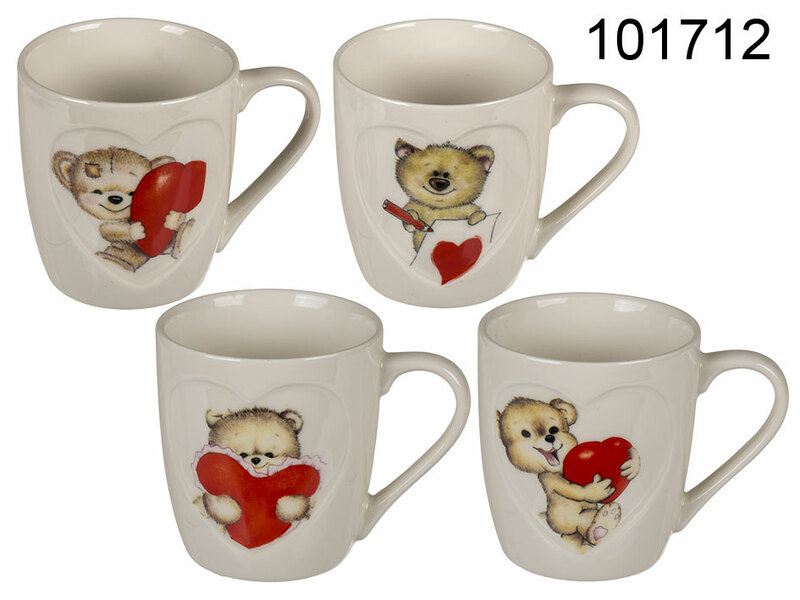 Adorable mug with heart-shaped cut out space with ra cute bear holding a red heart. Several models with various poses of the bear available - assorted. The given price is for 1 mug.